Info:Both of these caps have blank backs and no identifying marks. 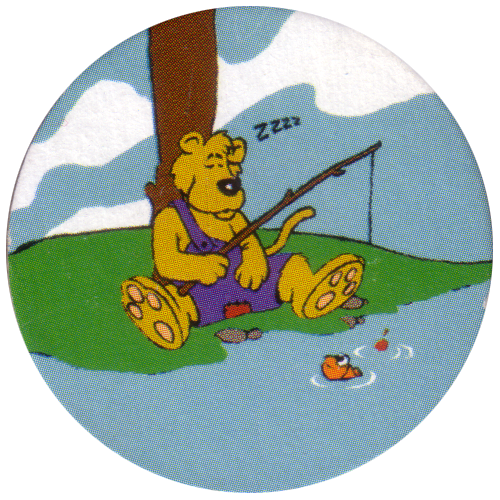 I have grouped them together as they both have similar designs of cartoon bears. 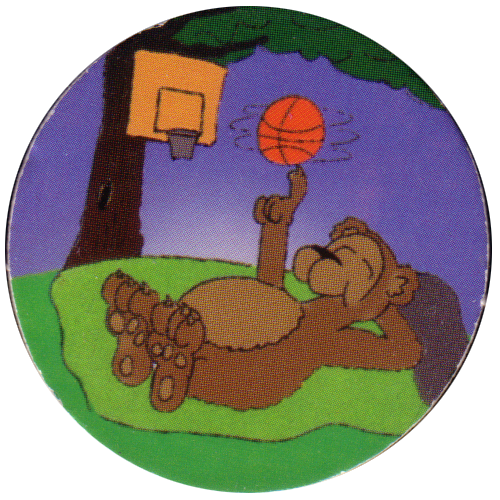 On one pog the bear is playing basketball, and on the other one the bear is sleeping while fishing.